If you’re here, it’s because you are after historical stock photos and vintage stock photos. Be it photos of the World War II for a documentary project or casual snaps of social life in the 1950s for a retro marketing campaign, there are various reasons why you might need this kind of imagery, and soon you will learn they are not as easily found, nor are that simply used. While there are various online hubs to find historical images, they’re not as many as there are for regular, modern stock imagery. Finding variety and specific themed photos can be difficult if you don’t know where to look. Good sources sell Royalty-free stock photos that not only grant quality but also legal coverage in your intended use, and we bring you the best of them all! You can search right here for awesome historical visual content from Getty Images, the company with one of the world’s largest licensable photographic archives! Give it a try! You will also find free images with a historical and vintage theme. But while popular knowledge leads to believe all old photos have no copyright and are free to do as you please, that’s certainly not always the case. We will help you understand the fine print in copyright, Public Domain and Creative Commons license regarding vintage stock photos. In the end, you will be armed with everything you need to know to find, download and safely use the best historical stock images for your projects. 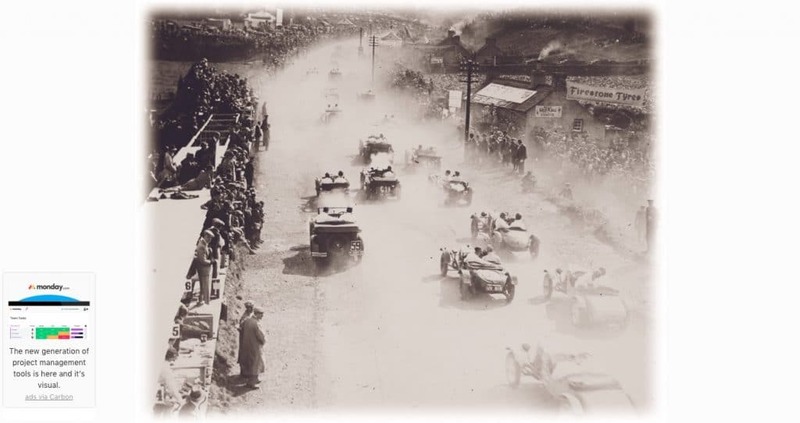 The theme “historical photos” seems narrow, but it is actually very broad. Considering the oldest surviving photograph dates from 1826/1827, there are about two centuries of photographic archives documenting from relevant historical events –like the U.S civil war, the protests of the hippie movement or the coronation of Queen Elizabeth II of England–, to mundane scenes of daily life like youngsters dancing rock’n’roll, workers at a big oil rig, the construction of the Empire State building or vintage cars. There are many institutions, organizations, private collectors and companies that dedicate to curate and maintain these archives, applying expertise and latest technologies to organize them into categories and make them easier to navigate. However, not all of them are accessible to the public, not all are online, and not all are available to use for a commercial purpose (you will learn more about this in our section about licenses and usage). All this sums up to the conclusion that historical and vintage stock photos can be a lot more varied than you think, and have a wide potential to be exploited in your designs. If you know where to find them and how to use them accurately, of course. Shutterstock is one of the biggest and most popular online stock photo agencies in the market. The Shutterstock Editorial library used to be of restringed access for premium members but is now open to all customers. They have a very robust offer, built on the base of important archives from renowned photographers as well as curated selections from partners like the Arts Archive, Kobal, PMC Archival or BFA collections. 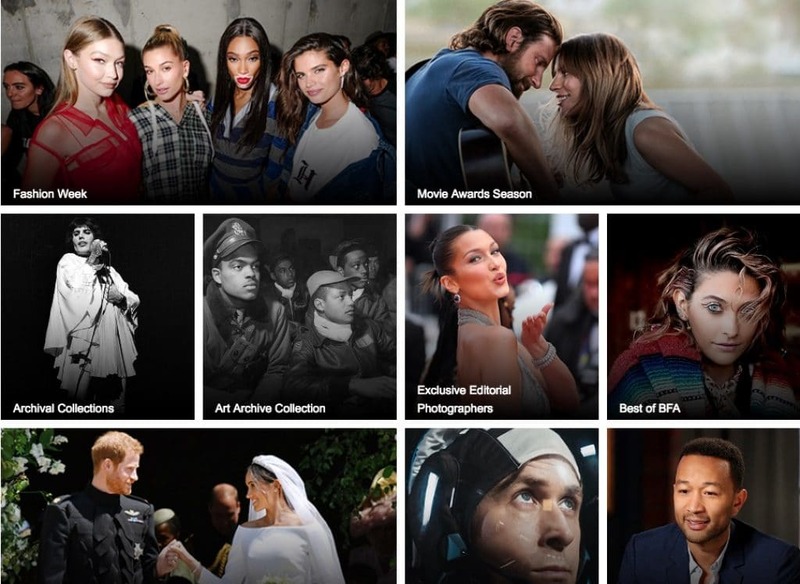 Their historical stock photos library includes over 40 million photos on the most various topics, from social events to first-class entertainment galas, from photojournalistic shots to sports imagery, and beyond. All these images are sold under Editorial license and on demand, by the unit or with download packs that save you almost half of the single purchase price. See Shutterstock Editorial collection here. This agency sells photos under Rights Managed license, with pricing varying according to the intended use, the medium and the conditions, between a couple hundred and up to thousands of dollars. Some of their editorial content is also available under Ultrapacks deal –that cover Royalty-free images and videos too–, which has a custom license enabling the use of photos for editorial (non-commercial) projects with some limitations and comes at fixed fees according to image resolution, saving you hundreds of dollars compared to single image purchase. Visit Getty Images website to explore their image premium quality and huge historical catalogue. And do check out Ultrapacks to find the best deal in pricing. Alamy is a well-established stock photography agency that includes archival collections in their offer. Historical relevant archives like Chronicle or the World History Archive are ready to download and use under a Rights Managed license priced according to the intended use between $20 and $200 each. Vintage Med Stock is a very specific photography collection of antique and vintage medical stock images. 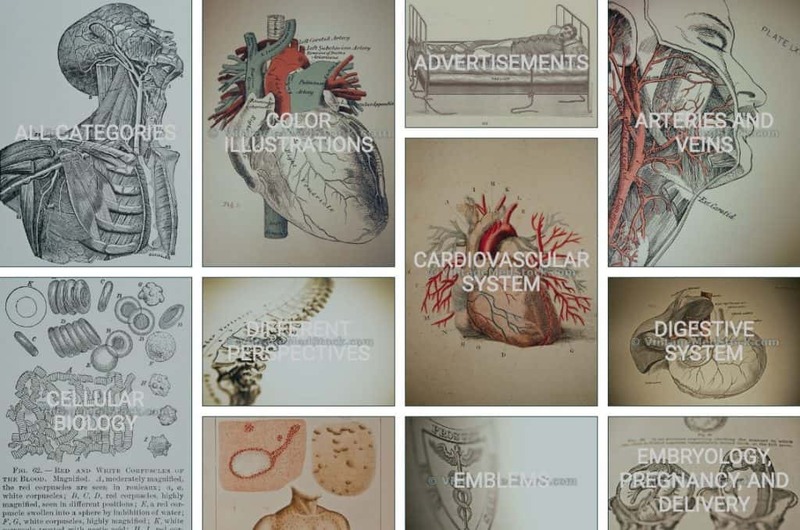 Owned by photographer and designer Mark Strozier, it offers hundreds of very interesting photos and illustrations centred in the medicine topic from days past, all under a royalty-free license and available on demand for between $7 and $59. If you don’t want (or can’t right now) spend money on historical photography, don’t despair. There are many sources to download vintage and old photos for free, with different copyright status and permitted uses. Here is a list of the best around, but do read our section about licenses and usage explained below for more info on how to work with these free photos. Pond5 is a stock footage specialised agency, but they offer a wonderful collection of hundreds of thousands of historical and vintage media files in their Public Domain collection, spanning over a century of history and mixing famous landmarks, cities and people with curious vintage art, random portraits and documentary shots. 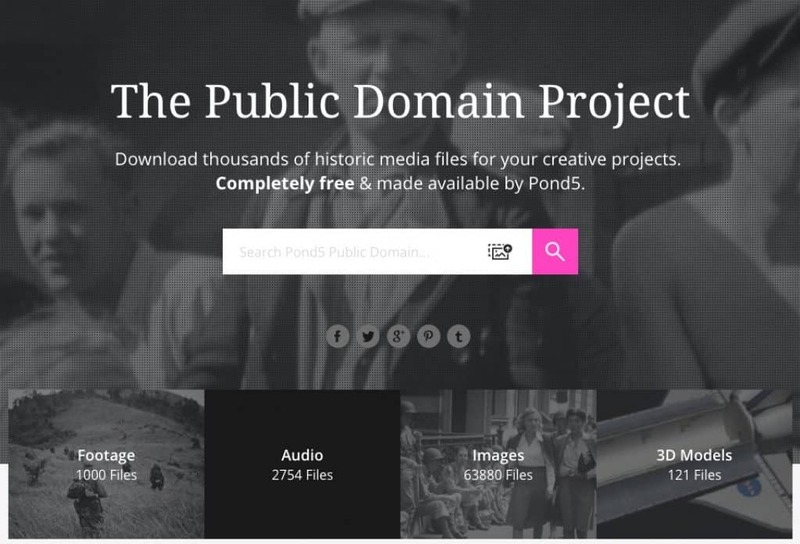 As you guessed, all these files –that include over 60,000 photos– are Public Domain images. This means they are not subject to copyright and are free to use in any way. Photo sharing platform Flickr developed a very cool archive section named The Commons, where institutions can opt to share their collections under Public Domain for everyone to see, download and use. 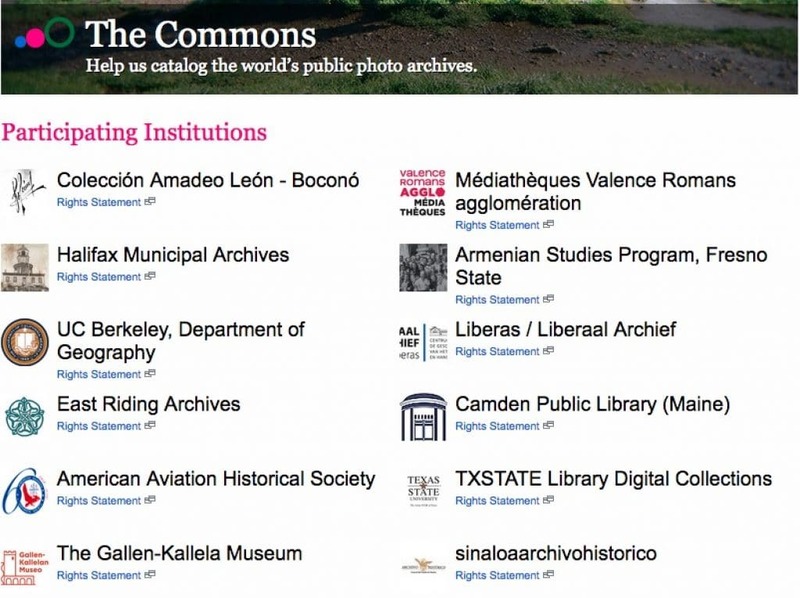 The long list of organizations adhering to The Commons includes the Smithsonian Institution, the Library of Congress, NASA, the British Library, the Museum of Photographic Arts, and many important entities from all over the world. While they are Public Domain images for various reasons, and therefore technically free to use, each of these institutions establishes accepted uses for their photos, and ultimately it is up to you (the end user) to research whether or not any copyright applies and how can you or can you not use the image according to that. New Old Stock is a Tumblr page by product designer Cole Townsend, and what it offers is a selection of around 1500 historical and vintage, free stock photos curated by Townsend himself from the large archives of Flickr Commons. In addition, he offers pro photo packs where he optimizes these old photographs delivering high-resolution images suitable professional use. The photos he handpicks are available for free, but Flickr Commons’ restrictions and considerations about usage apply, and each photo might have different limitations according to from which archive it proceeds. When you think about historical photography or vintage pictures, you think of photos that were taken many years –or decades, or even a century– ago. If you have a general idea of how copyright works, you might know that it expires after a certain period of time (this is different for every country, and may change depending on when the work was created and which law was running at that time). This leads many to believe all historical stock photos are in the Public Domain due to “no known copyright”. But that’s not the case. In many cases, restrictions will apply. And we’ll explain to you why. You read above that Getty Images and Alamy both sell stock photos of historical content, even though many of them were created a long time ago. This is because they are part of historical archives of private collectors, that acquired the copyright and prolonged it. Some of the most emblematic and sought-after photos of worldwide events in the past century are subject to copyright and licensed under a paid model. You cannot use these photos for free. For a large chunk of the historical photographs out there, you would be right in assuming they are under the Public Domain. But do you know there are different reasons for a photo to have this label? Copyright expiring is only one of them. An image can fall under Public Domain due to not meeting the legal requirements for copyright protection, or after being voluntarily submitted as copyright-free by its legal owner, or due to copyright information not being found. In this latter example is where the catch lies. Individuals, entities and private parties can claim to not having found copyright data for a piece of work, and thus placing it in the Public Domain. But most of them do not take responsibility in the case they were wrong. In most countries, the law says if you’re using a photo without due authorization you’re guilty of copyright infringement. Whether you were aware or not, does not eliminate the infringement. In short: even if someone else made the mistake of offering a picture as under Public Domain when it wasn’t, you’ll be held responsible for using it. For this reason, you are to always conduct your own research to clear copyright information before using a photo, even an old historical one. Especially if you’re going to use it in commercial projects. Which is what many institutions recommend to do. You can avoid this hassle of course, by licensing vintage photos from serious agencies or otherwise using reliable free sources like the ones listed above. You may also find some historical archive photos coming with a form of Creative Commons license. Creative Commons is a non-profit organization that developed contractual agreements for artists to offer their work for free but regulating the potential uses. There are various license models with different levels of restrictions. Creative Commons Zero (CC0 for short) is one of the most unrestricted ones, pretty similar to Public Domain with the exception that pictures with this license do have copyright. While this licensing model is very serious and convenient, there is one big problem: you must know the source for the image and be absolutely sure the copyright owner is who authorised its free usage. Should this not be the case (say, if the person who offered the photo under CC0 is not the legal owner), the license is invalid and the copyright holder can go after you for infringement. For this reason, you have to also do a thorough background check for Creative Commons photos before using them in commercial work. And this is why it’s better to license historical photos from prestigious agencies. Now you know all there is to know about how historical photo archives work, you can tap on the value of these vintage and documentary relevant pictures in the best possible way. Note: Do remember to research for copyright status before using free photos! We hope you find the exact historical photos and vintage, high-quality images you are looking for and look forward to seeing your beautiful designs come to life! © 2019 Stock Photo Press. All rights reserved.